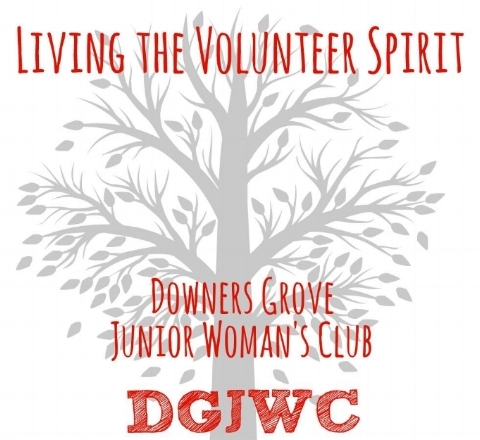 The Downers Grove Junior Woman's Club has been proudly serving our communities since 1959. Last year's contributions included: $4,000 in gifts to needy children & families, $6,000 in scholarships & a $10,000 grant. Our mission to give back to our community includes supporting diverse and well-deserving organizations. The Downers Grove Junior Woman's Club has been, and continues to be, a committed source of hope in the form of emotional and financial support throughout the Downers Grove and surrounding areas. Our community projects include: financial contributions to in-need organizations, annual recognition of educators and students, and community service volunteer efforts. Safety Town is a nationally recognized safety education program for children ages 5-6 and is presented by the Downers Grove Police Department in cooperation with The Downers Grove Junior Woman's Club and the Downers Grove Park District. Through hands-on activities, songs, books, videos and classroom presentations, children bring home important safety lessons appropriate for everyday life. Open to the public. Sponsored by the Downers Grove Park District and The Downers Grove Junior Woman’s Club, the Gym Jam brings together Moms and Sons for a night of dancing, activities and entertainment. All proceeds from the event will benefit The Downers Grove Junior Woman’s Club Scholarship Fund awarded to District 99 college bound seniors. Open to the public. To support our mission, The Downers Grove Junior Woman’s Club sponsors a craft fest each year, with all proceeds from crafter booths supporting our efforts throughout the year. This year, The Downers Grove Handmade Market will take place indoors at O’Neill Middle School on Saturday, April 27th from 9a.m. – 3:00p.m. The event is committed to including the newest artisans and undiscovered handmade goods. Apply here. The Downers Grove Junior Woman’s Club hosts an annual fundraiser with all proceeds benefiting the Charity Fund of the Downers Grove Junior Woman's Club, which provides financial resources to local organizations and individuals. Last year, over $16,000 was raised to benefit the District 99 Student Assistant Program, Operation Snowball, and other charities. Join us in our mission to serve Downers Grove and our surrounding communities. Big or small, there are so many ways to make a difference. We offer flexible sponsorship options for our local corporate partners. Join our diverse group of members and make lifelong friendships. Every penny counts - 100% of your donation supports charity.